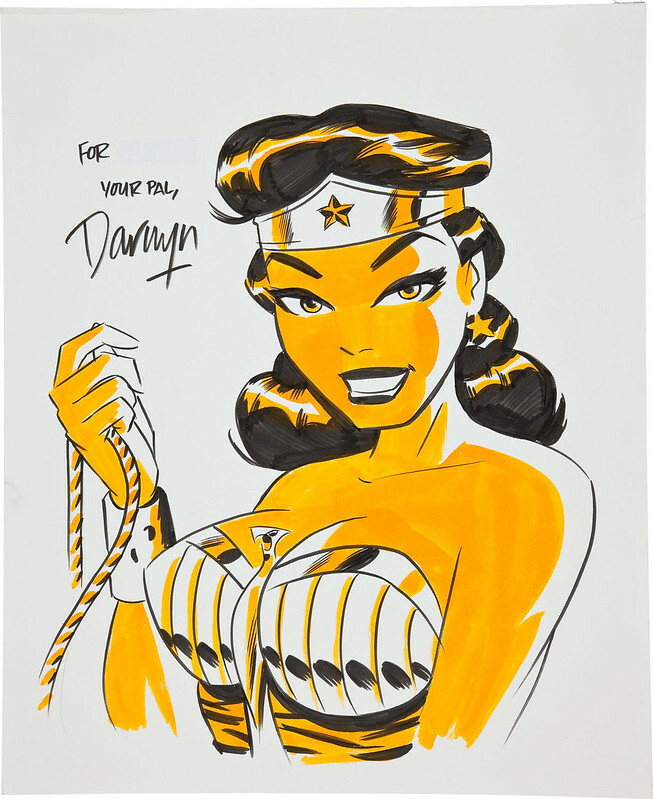 Darwyn Cooke's rendition of Wonder Woman from New Frontier is so good, you wish it was a regular series from DC Comics. Here are a couple of commissions I ran across recently. 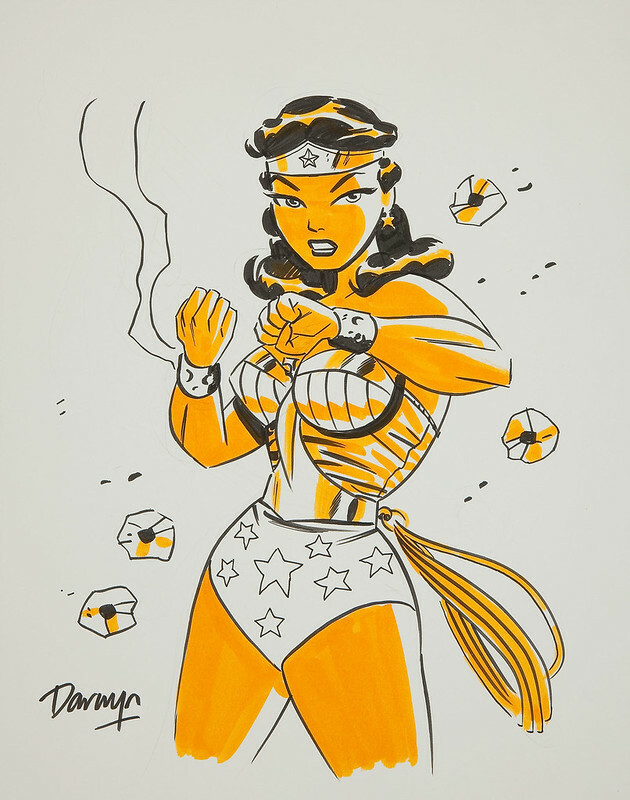 Wonder Woman using her bracelets against a barrage of bullets. Wonder Woman headshot--notice that eagle popping up there in the middle. Classic stuff. Nuff Said!